Heated debates on the subject "cholesterol and statins" are the rule rather than the exception. So it is hardly surprising that new U.S. guidelines currently provide fuel for some feuds. New fat-lowering agents lead us to expect that in the future there will be no shortage of ammunition for the disputants. The new guidelines are a “big kiss for Big Pharma“, critics believe. Millions of healthy people would through these guidelines be turned into patients who need statins, write, among others, Dr. Rita Redberg, cardiologist and chief editor of the magazine JAMA Internal Medicine, and Dr. John David Abramson from Boston’s Harvard Medical School, in the New York Times. And: the majority of the guidelines’ authors have close ties to the pharmaceutical industry, and those societies responsible for the guidelines, the American Heart Association and the American College of Cardiology, are probably getting donations from big pharmaceutical companies. All this means that at the least the recommendations will leave an after-taste with little to savour, critics say (British Medical Journal). A new strategy for target values of LDL cholesterol, first of all, and secondly a new score (“CV Risk Calculator“) that will be used for the assessment of cardiovascular risk, are what brought about criticism of the guidelines’ broadening of indications. The reasons given by the guideline-authors: the new target values’ strategy is that certain absolute target values no longer need to be reached, because there has not been sufficient evidence supporting the previous approach. This orientation towards absolute target values can lead to some high-risk patients not being adequately treated, in contrast people with low cardiovascular risk getting excessive treatment, argues Dr. Neil Stone, the lead author of the guideline on lipids. 40 to 75 year-olds, who indeed have no known cardiovascular disease, but have a risk of at least 7.5 percent of developing it within ten years. Depending on the group to which the patient belongs, and, depending on the individual risk, the statin therapy should be either intensive or moderate. Intensive means that the LDL-C is to be reduced by at least 50 percent, moderate is defined by a reduction of 30 to a maximum of 49 percent. Target values are thus still relative, and not absolute. in Germany as well, as is to be expected, the guidelines and the move away from the absolute target values meet with agreement as well as criticism. Berlin cardiologist Dr. Wolfgang Derer for instance according to media reports is very happy with the new concept. “These are very well-crafted guidelines as they relate to evidence which exists. Until now the treatment of hypercholesterolemia has rested much more on expert opinion”, according to Derer in a contribution to Medscape. In addition, for doctors the new guidelines could also mean a simplification of the treatment. The German Society of Endocrinology in contrast sees the task of absolute LDL-C target values critically. In accordance with the European guidelines, as expressed by the DGE in a position statement LDL target values were initially supposed to be adhered to. Professor Klaus Parhofer, head of the working group on metabolism at the University Hospital Munich Grosshadern, explains: “The new U.S. guideline is a re-orientation and differs from our strategies. Since there are no intervention studies that compare the target values with each other, so the argument of Americans goes, target values could also be dispensed with entirely.” However, “indirect evidence” will also get ignored, says Parhofer. 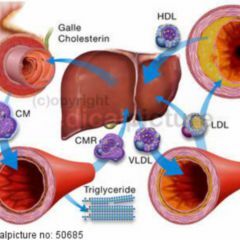 He pleads according to the DGE release to keep going with the time-tested method of cholesterol target values: “Last but not least, the consistent implementation of this treatment strategy, i.e. the estimation of overall risk, the setting of a target value, and the administration of statins have led to the decline in atherosclerotic cardiovascular disease”. 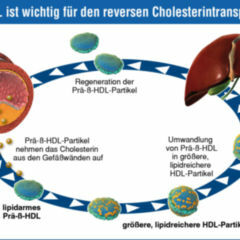 So-called evidence is lacking not only in support of the strategy of absolute LDL-C targets, it is also lacking for the strategy behind the new recommendations of the U.S. specialist groups, a Medscape contribution by Professor Ulrich Lauf from the University Hospital of the Saarland criticises. In addition, the strategy of percentage reduction means “that now more complex calculations are expected to be done by the GP”. LDL initial values also needs to be known, which is often not the case in everyday life. A particularly large stumbling block is the new risk score, through the use of which one is supposed to determine whether a patient has more or less than 7.5 percent chance of having cardiovascular disease in ten years. Using this score the risk is massively overestimated, say two Harvard professors, Paul M. Ridker and Nancy R. Cook in Lancet. According to Ridker and Cook cardiovascular risk using the new score – depending on the population – gets overestimated by 75 to 150 percent. Another noteworthy aspect: the two cardiologists supposedly sent their critical calculations on the score to the National Heart, Lung, and Blood Institute about one year before the relevant guidelines release; the calculations, however, did not reach the U.S. specialist groups which established the guidelines. Of course, the guidelines authors defend the new score: it is much better than all previous attempts to assess risk, is based on more data and delivers even specific statements about African-Americans, runs the core argument from the Congress of the American Heart Association in Dallas, where the new guidelines were one of the highlights topics. There was, the guideline authors say, also no reason to delay the implementation of the new score, as U.S. cardiologist Professor Steven Nissen (University of Ohio in Cleveland) advises to do. The score has not been previously published, so that a detailed analysis has not been possible, criticises Nissen, who – just as a reminder – through his scientific work considerably contributed to the decline of the antidiabetic Rosiglitazone a few years ago. The risk value of 7.5 per cent was, however, not carved in stone, says Neil Stone, one of the guidelines authors. We are not in any case standing at the end of the discussion, but only at its beginning, says the cardiologist at Northwestern University Feinberg School of Medicine in Chicago. 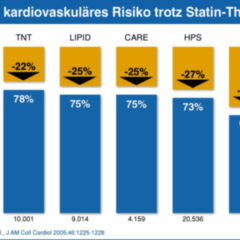 The new U.S. guidelines have not only triggered controversial discussions on target values and risk score, but probably also some unrest – and indeed among those who hope that statin alternatives are made available relatively rapidly, there being in the opinion of many cardiologists a great need for these; but unfortunately there is still no evidence of a positive benefit-risk ratio. Such lack of evidence, however, is what has led the authors of the U.S. guidelines to recommend against the routine use of non-statin therapies. This insistence on “hard” clinical endpoints has now fuelled concern that the approvals of new drugs used to lower cholesterol could be significantly delayed. This could affect precisely those new substances which are currently considered to be bearers of hope with blockbuster potential: the so-called PCSK-9 inhibitors. PCSK-9 stands for “proprotein convertase subtilisin/Kexin 9”. The focus of attention here is a serine protease which is synthesised in the liver and binds to LDL receptors. The result is that the ability of the liver to “remove” LDL-C from the blood decreases, and the LDL-C levels in the blood increases. If PCSK-9 is inhibited, more LDL receptors are made available. These take LDL-C away from the blood, the LDL-C levels decrease. Currently, more than ten antibodies active against the enzyme are in various stages of clinical development. The Alirocumab antibodies of the U.S. company Regeneron (Sanofi), biotech company Amgen’s antibody Evolocumab (AMG 145) and the active compound SN-316 from Pfizer. The tremendous effectiveness on the LDL-cholesterol level is indisputable, percent-wise LDL-C reduction sometimes runs at well over 50 percent; safety until now has also been seen as unproblematic, although of course, as always with new substances, not all aspects have as yet been revealed. There are, to name just one example, experimental indications for a possible increase in cerebral beta-amyloid levels, resulting in concerns that the therapy could increase the risk of Alzheimer’s disease (Experimental and Clinical Endocrinology & Diabetes). Thus far everything learnt exist as findings from animal experiments; their relevance for humans is still quite unclear. What remains particularly unclear until now is whether these new drugs actually have clinical benefit. 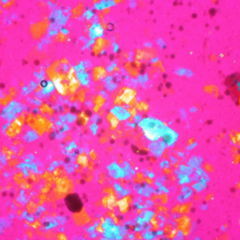 In relation to the new substances there has only been evidence that they affect surrogate parameters, i.e. in particular LDL cholesterol. Phase 3 studies have only just begun. Nonetheless there are already reassuring words to be heard on the topic as well. It may be that the new lipid-lowering agent get approved by the FDA without evidence that they protect against heart attacks and strokes. The effect of the new compounds on LDL-C levels, blood pressure, and inflammation parameters such as the highly sensitive CRP could suffice, according to one statement made to US media by Dr. Eric Colman of the FDA, one of the directors for new drugs at the U.S. authority. The FDA believes in LDL, Dr. Michael Koren, head of a just-published data evaluation process on the PCSK-9 inhibitor Evolocumab (Circulation), is quoted by US media to have said. In short, the topic cholesterol-lowering will in all likelihood continue to feed controversial discussions. Ammunition for exciting feuds will certainly not be lacking. Statins - who needs them anyways?